It is cold outside. So cold that I have decided to head South for the weekend. How far South you ask? I think Birmingham, AL, would do just fine. Want to join me and spend a weekend surrounded by people who love food, the South, and food blogging? There are still a few ticket to FOOD BLOG SOUTH left! It will be worth the trip. For those of you attending, I am going to be speaking about a big project that took all of 2012 and really has been going on since 2010. Here are a few Instagrams of what my 2012 was like. 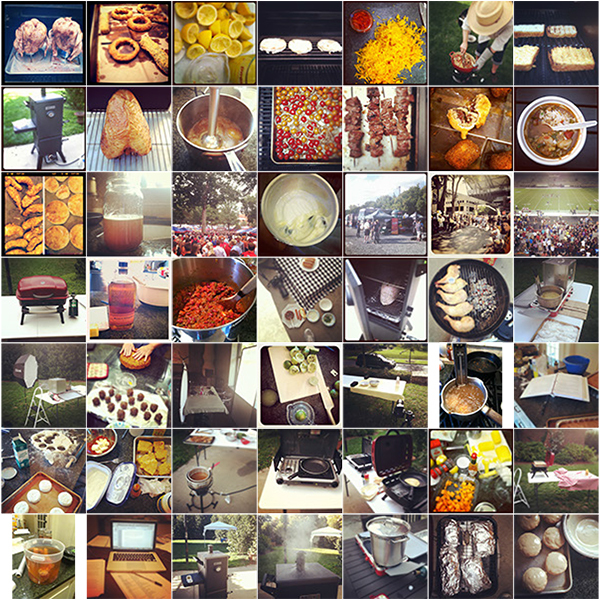 The vast majority of the year I spent writing a cook book on Southern Tailgating. The book will be out later this fall and I will be doing a big post when the time is right, but this weekend in Birmingham I will be speaking with Lisa Ekus on the Blog to Book Panel. During the presentation, I will talk about the process of shopping a proposal, getting a book deal, and writing a book. For those of you who won’t be in Birmingham this weekend, try this soup. It is the perfect thing to keep you warm this weekend. 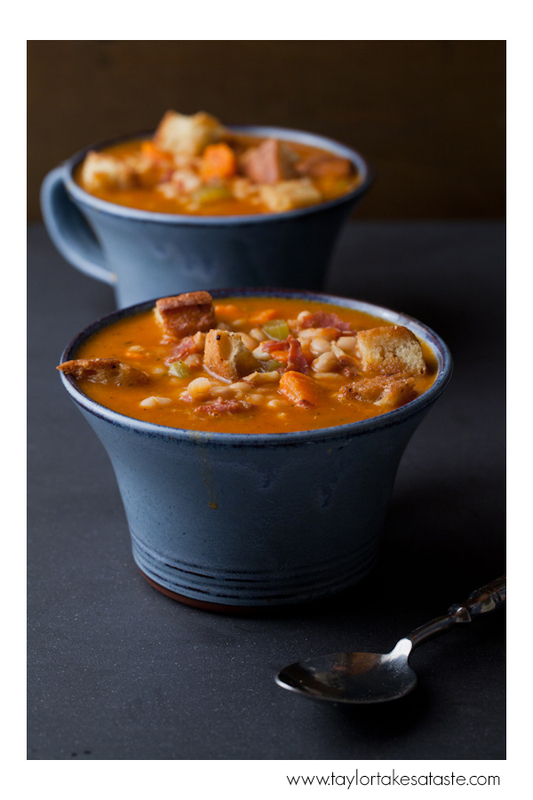 If you are looking for a hearty soup that won’t break the bank, this soup is for you. Filled with tender beans, salty ham and plenty of vegetables, it is a soup that will feed a crowd. The garlic croutons are a welcomed addition that can also be used on any of your other favorite soups or salads. Soak beans in a large bowl with water that covers beans 4 inches overnight. Drain and reserve. In large stock pot add butter, onion, celery, carrots, garlic and ham. Cook over medium heat, stirring occasionally, for about 10 minutes or until vegetables soften. Add beans, tomatoes, black pepper, hot sauce, thyme, bay leaves and 12 cups of water. Stir and bring soup to just below a boil. Turn heat down to simmer and cook soup for 2 1/2 hours, stirring occasionally, or until beans are tender. 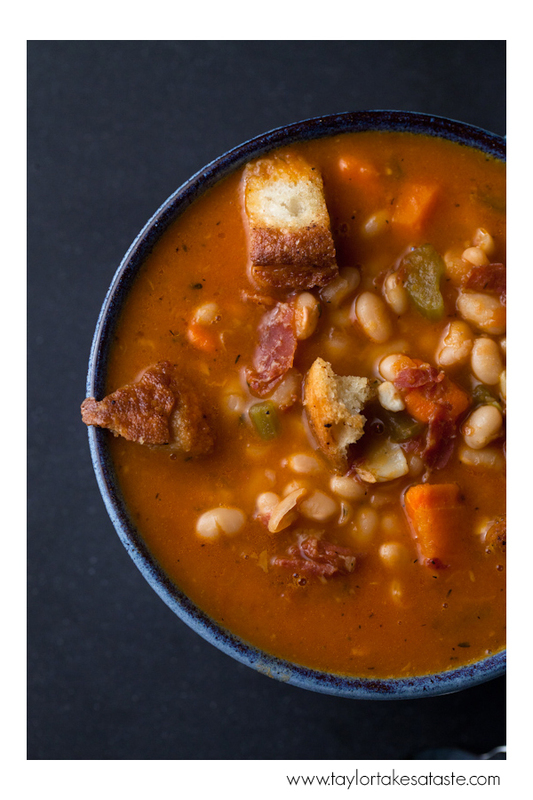 When beans are tender, add salt and water, if needed, to bring soup to desired consistency. Remove from heat and serve garnished with garlic croutons. Place bread cubes on baking sheet. In medium saucepan, melt butter. Add salt and garlic cloves. Cook butter and garlic mixture over medium low heat for 10 minutes. Remove from heat and let cool for 10 minutes. With slotted spoon, remove garlic from butter. Pour butter over the bread cubes and toss until well coated. Bake for 20 minutes, stirring the croutons every 5 minutes. 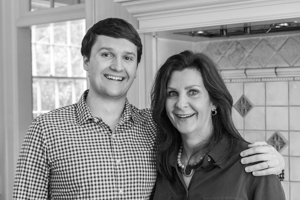 I’m looking forward to that Southern Tailgating cookbook! The soup looks great too! Beautiful pictures and delicious sounding recipe. I like recipes with simple ingredients. This is a perfect weekend comfort food. Thanks for sharing. Can’t wait to try the soup! It was great to meet you at FBS this weekend! 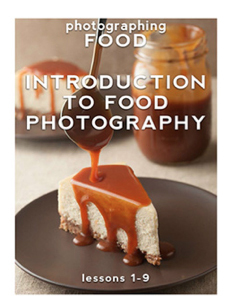 Your photography is more than inspiring, especially for a new food blogger/stylist like myself. Alabama sounds pretty good right about now. Although we just ended a little cold snap and it should be a little warmer this week, which is just in time! The soup looks fantastic and the perfect solution to a cold night.